← Dale and Angie, this one’s for you. This aqueduct was built by the Romans before the time of Christ. 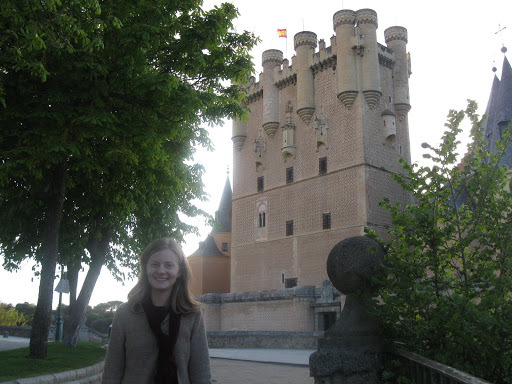 At the Archivo General Militar de España in Segovia, which also happens to be the castle where Ferdinand and Isabella lived for much of their married life. 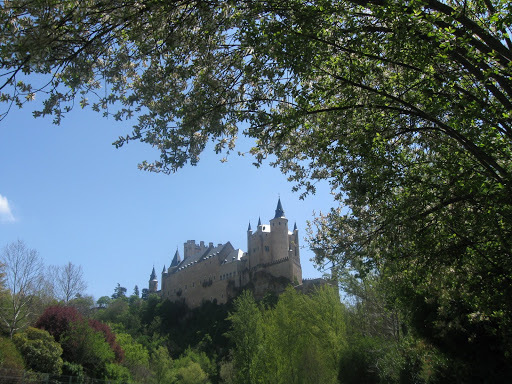 It was everything I ever imagined a castle to be, complete with turrets, tapestries hanging on the walls within, a throne room where Ferdinand and Isabella held court, an entire armory room filled with swords and suits of armor, and even a dungeon. I love you all and I miss you! I’ll post more when I can. When I saw you’d been on facebook, I was hoping you’d write a blog! I’ve been refreshing for five minutes. :)I’m THRILLED you’re having such an amazing time. I’m incredibly jealous. Be safe, and have the time of your life! SO AMAZING! KEEP IT COMING! Okay, I’ve been slow to get on and comment.But holy carp! 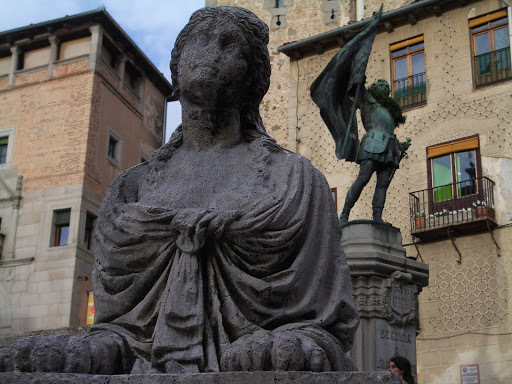 I had no idea Spain is so freaking awesome! 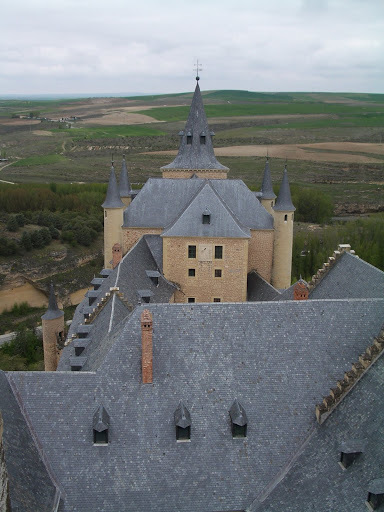 You WORK in Ferdinand and Isabella’s freaking castle!!!!! I am SO jealous! 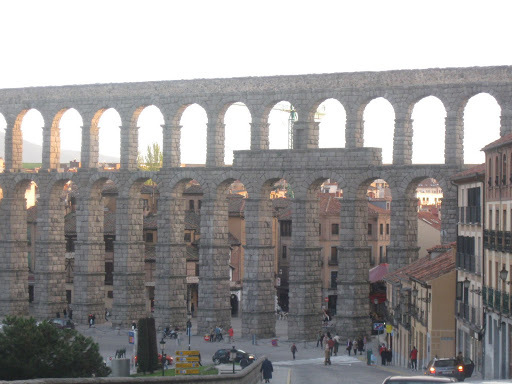 SO jealous!And I was looking up that aqueduct and I found out that they used it clear up until the 20th Century! 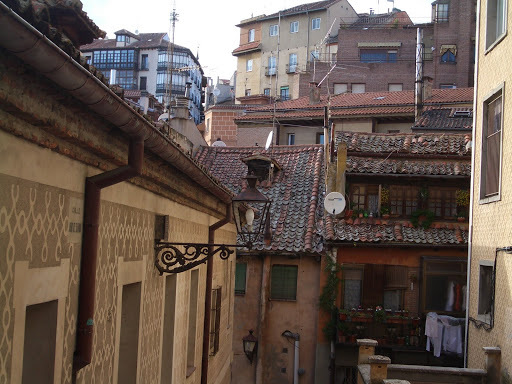 Built by the bloody Romans, renovated by Ferdinand and Isabella, and used clear into the modern age. Can you believe that?! They only stopped using it because industrial pollutants were corroding the stone.Okay, anyways, I’m jealous and I miss you a boatload!